Home / Products / Apparel / Intern Product Picks! Hi, everyone!! 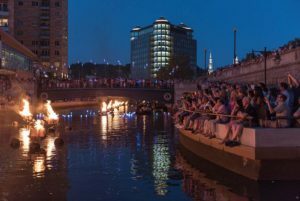 My name is Sarah Quinn and I’m one of the Branding & Merchandising interns here at WaterFire! You can read more about me here, but I think you’re probably more interested in the merchandise than me (and rightfully so)! Even though it’s getting chilly and tank top season is TECHNICALLY over, I’m still obsessed with this Brazier tank top from the WaterFire Store. This was a huge hit at our fires this season (only PARTIALLY due to my shameless plugs), and I’m not surprised; the contrast between the bright orange and the deep blue pops so nicely against the crisp white tank. This shirt is truly a work of art. If you’re already looking ahead to next summer, this tank will make the cold months ahead fly by. Check it out here! 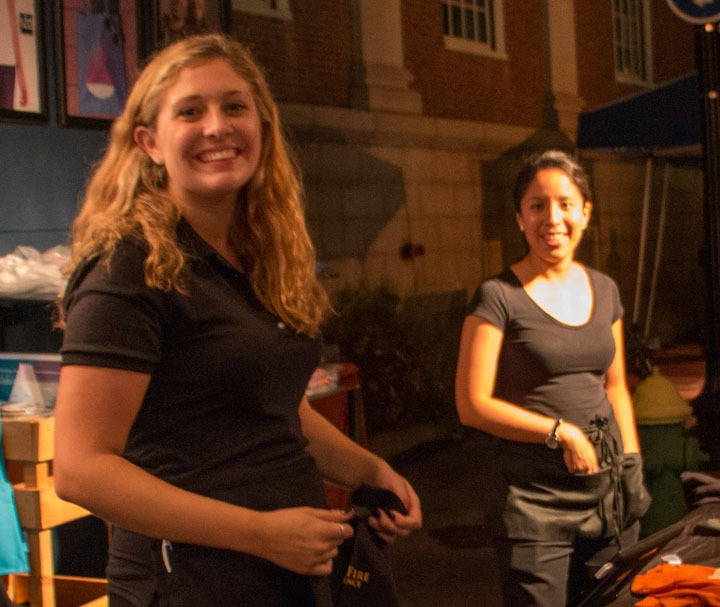 Hi, I’m Sarah Wojtusik, the other Branding & Merchandising intern! More about me here. 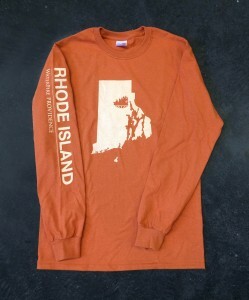 By far my favorite product WaterFire Providence offers is the RI Brazier Long Sleeve Tee. It is a fan favorite at the events and I can tell why. As an intern, I get very familiar with all of the merchandise, and I’ve had my eye on this tee for a while! For one, it is cozy, but also light weight enough that I can style it up with a fun flannel in the fall. 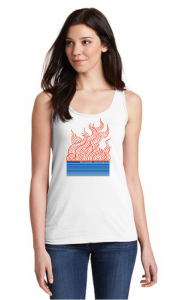 I also think this shirt is great because WaterFire is celebrating the whole state of Rhode Island.